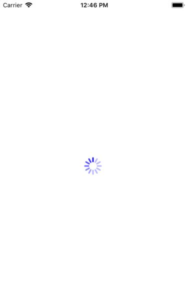 This is an Example of Overlay ActivityIndicator / Progress Bar / Loading Spinner in React Native. This is the most common thing that we use in every application. 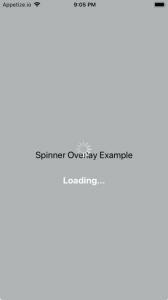 We will use the react-native-loading-spinner-overlay library to make an overlay Loader. This is basically used to block the screen while the application is doing some work like fetching data from the server or processing any big data which needs some resources. 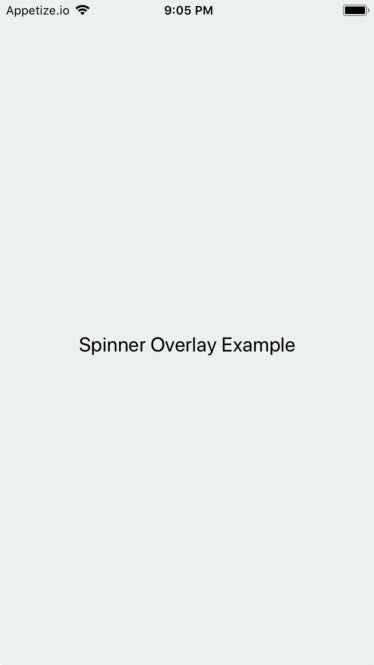 To make an Overlay ActivityIndicator we will use Spinner component provided by react-native-loading-spinner-overlay. In this example, we will make an overlay Spinner which will be visible in every 3 seconds using an interval function. So Let’s get started. 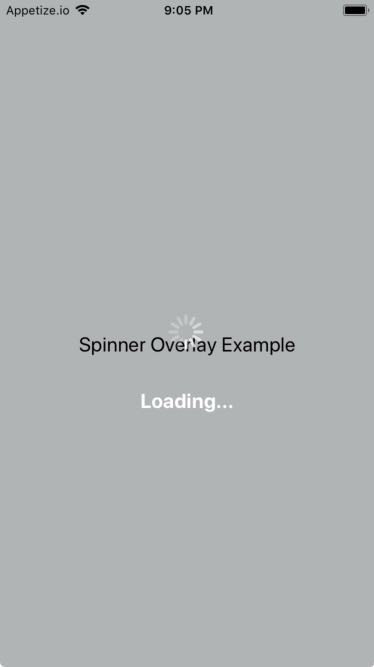 To use Spinner component you need to install react-native-loading-spinner-overlay dependency. This command will copy all the dependencies into your node_module directory, You can find the directory in node_module directory named react-native-loading-spinner-overlay. –save is optional, it is just to update the react-native-loading-spinner-overlay dependancy in your package.json file. That was the example of Overlay ActivityIndicator/Progress Bar/Loading Spinner in React Native. If you have any doubt or you want to share something about the topic you can comment below or contact us here. There will be more posts coming soon. Stay tuned! This is an Example to Show the Working of Slider in React Native. 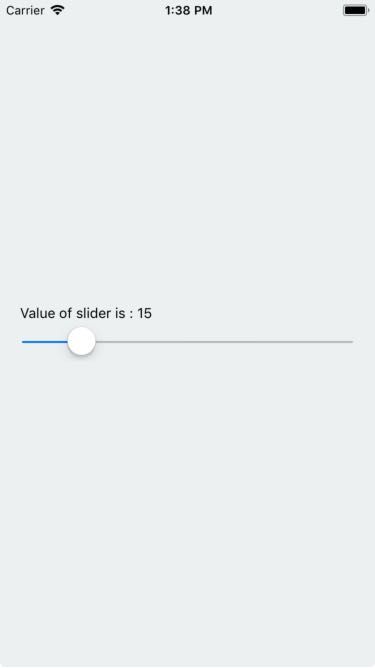 React Native Slider is a component to select a single value from a range of values. We have mostly seen slider while increasing or decreasing the volume or brightness of our phone. 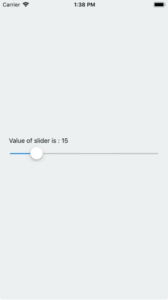 Here is the example of the slider which will be helpful for you to integrate slider in your app. Under the Lean Core Project Slider has been moved to its new home @react-native-community/react-native-slider after the launch of React Native 0.59. If you are using React Native >= 0.59 then please follow the instruction for React Native >= 0.59.
as we are using @react-native-community/react-native-slider in React Native >= 0.59 then we have to install and link the dependency. To use Slider we need to install @react-native-community/react-native-slider dependency. –save is optional, it is just to update the @react-native-community/react-native-slider dependancy in your package.json file. Open App.js in any code editor and the Replace the code with the following code. That was the example to show the working of Slider in React Native. If you have any doubt or you want to share something about the topic you can comment below or contact us here. The remaining components will be covered in the next article. Stay tuned! This post will Give you an Understanding of React Native ActivityIndicator. 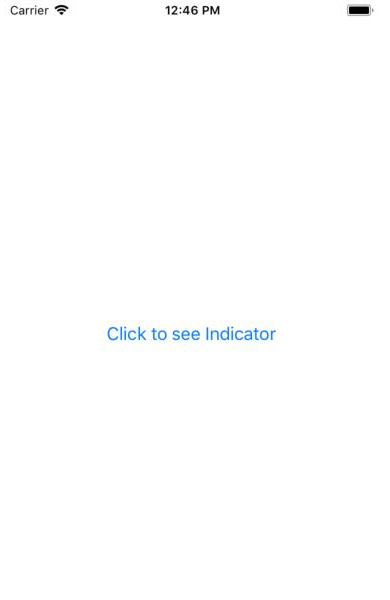 React Native ActivityIndicator is a component for displaying loading action. It is the same as the circular loader/Progress Bar. It is used to show the progress of long-running task so that the user can understand something is in progress. 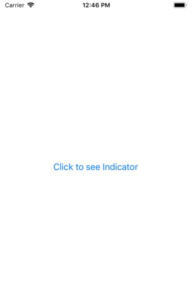 That was the React Native ActivityIndicator. If you have any doubt or you want to share something about the topic you can comment below or contact us here. The remaining components will be covered in the next article. Stay tuned!